Updated one bedroom unit. Maintenance free living. Updated bathroom, new paint throughout, wood laminate flooring in the living room, newer carpet in the bedroom, painted cabinets, new counter tops, replacement windows, and new light fixtures to name a few of the wonderful qualities. The spacious bedroom has a large window and a walk in closet. The current owner also made renovations to open up the kitchen to the living room brightening up the unit. large balcony with a private storage closet. 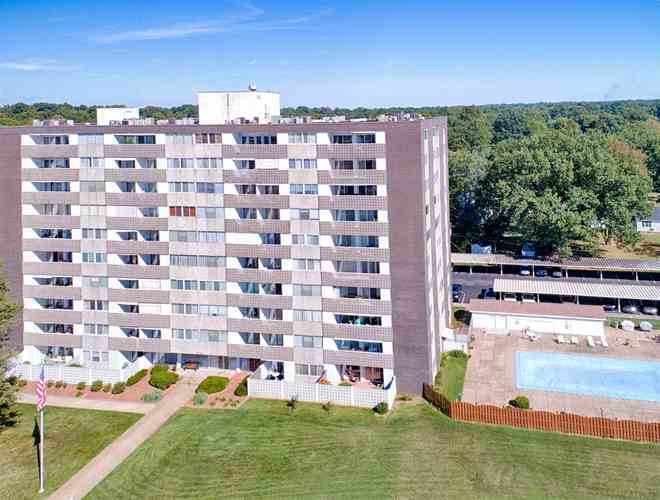 Dues Include one covered parking spot, use and maintenance of the in ground pool, Elevator maintenance, Laundry area, lobby mailboxes, Community Room, HVAC maintenance, exterior insurance, building security, sewer, trash snow removal, and basic cable. No Pets Allowed. Unit includes one parking space. HOA Fees are only $200 monthly. Directions:From Green River Road, East on Washington Ave. South on Erie.